As interest increases in employment-related drug testing, the technologies and the interpretive skills of analysts continue to evolve. Although recent literature indicates that significant refinements and modifications to drug testing technology have been made, the complexity of drug effects is so great that many problems exist in interpretation of the test results. 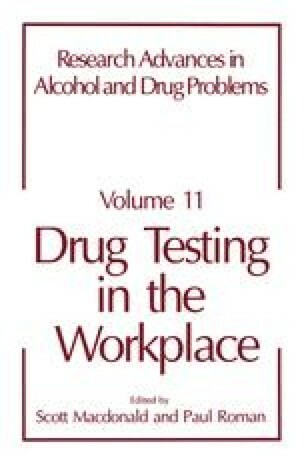 The most frequent problems that confront the toxicology laboratory relate to developing technology that can determine how much and when the drug was taken, how long after use the tests are capable of showing positive results, the causes and rates of false positives and false negatives, and how tests can be “beaten” by employees. These problems will be discussed in this chapter, and the various laboratory procedures that are used to combat these problems will be examined.